Ultimate Frisbee at Pacific Crest! 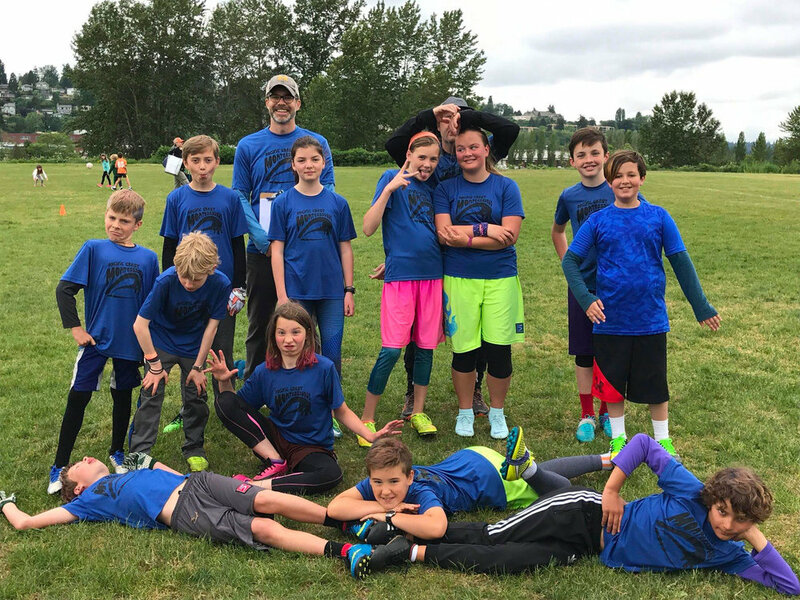 Ultimate Frisbee is a co-ed, club sport run via DiscNW (it's not a school sponsored sport). Ultimate is a non-contact team sport that mixes the best features of sports such as Soccer, Basketball, American Football and Netball into an elegantly simple yet fascinating and demanding game. Ultimate is played between two teams of seven players (sometimes five players) on a large rectangular field. A line drawn across the field at either end creates two “end-zones” (like in American Football). These are the goal-scoring areas. A goal is scored when a team completes a pass to a player standing (or more likely running) in the end-zone they are attacking. Pacific Crest runs casual practices and scrimmages in the fall with a season and end of season tournament (Spring Jam) in the spring. Pacific Crest runs casual practices and scrimmages in the fall with a season and tournament at Spring Reign in the spring.